President & CEO, DRUQUEST, International, Inc.
Dr. Joanne R. Kopplin provides DRUQUEST with almost 30 years of scientific and managerial experience in Drug Development; in Safety Assessment (including toxicology, pathology, study management, and laboratory animal medicine); in Information Management; and in Staff Training. This experience emerged from a variety of scientific and business venues including the University of Chicago, contract research organizations (IITRI, IRDC, Huntingdon Life Sciences, Southern Research Institute), Fortune 500 pharmaceutical companies (Abbott Laboratories, Bristol-Myers Squibb), and a biotechnology corporation (Cetus). When employed by Huntingdon Life Sciences (formerly Pharmaco LSR) Dr. Kopplin served as Vice President of Toxicology Sciences. 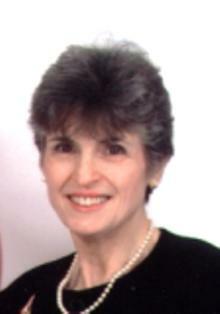 There she was responsible for the quality and integrity of toxicology at the Princeton Research Center. In addition to her scientific managerial role, Dr. Kopplin directed an information technology applications group that developed projects to automate labor-intensive scientific and administrative operations. Earlier, at Cetus, Dr. Kopplin was Director of Toxicology and Pathology, responsible for all preclinical safety evaluation of biotechnology-derived products. She then held several positions with Bristol-Myers and Bristol-Myers Squibb, first as Site Director for their toxicology laboratory at Evansville, Indiana and then as Director of Drug Safety Operations at their New Brunswick, New Jersey laboratories. During each of these assignments she obtained extensive experience in outsourcing preclinical safety testing. She implemented IT to assist operations in 5 different organizations. Her experience with information technology began in 1973 at the University of Chicago where she was a member of a software design team that developed a total laboratory management system for animal care and diagnostic laboratories. Later as founder and president of a small software firm, she developed and marketed software for toxicologic pathology. At Bristol-Myers Squibb she directed a team that developed their first completely electronic preclinical reporting system. As Director of Drug Development Information Technology for Southern Research Institute, she assisted the staff in evaluating, selecting and implementing business and information systems designed to improve and link business, scientific, and technical processes. She conducted process evaluations, designing new systems, automated and manual, to improve quality and efficiency of operations. She assisted in designing Drug Development Strategies for commercial clients of the Safety Assessment Department. Dr. Kopplin received her BS in chemistry and biology from Northern Illinois University, her DVM from the University of Illinois, her PhD in Pathology from the University of Chicago, and her MBA from the Rutgers Graduate School of Management in New Jersey.